In August of 2012, Men’s Health Magazine, released an article about the most dog friendly and least dog friendly. Aside from the fact that each of these cities have a plethora of pet-related services (such as dog daycares, veterinarians, pet bakeries and boutiques), they also boasted having pet-friendly hotels, dog parks, and restaurants. If you plan on visiting one of these cities with your pup or maybe just moved there, you might be wondering where you can go with your dog aside from the park. There are plenty of great cafes and restaurants in each of these cities that welcome pets and their human companions. Portland, OR – The city known for its relaxed attitude, dog parks, and food also loves pets. Lucky Lab Brewing Company has several locations around the city that all welcome dogs on their patios. McMenamins owns several fun bars and restaurants in Portland and every single one of them is dog-friendly. Dogs must be leashed and can sit outside with their owners at the special sidewalk seating areas. Don’t forget to check out a second run movie at one of their many theaters. Colorado Springs, CO – A beautiful city that sits at the foot of Pike’s Peak. It has plenty of outdoor activities and dog-friendly places to go with your best friend. If you’re hungry, check out Caspian Cafe located at 4375 Sinton Road and bring your pup. You can both sit outside. 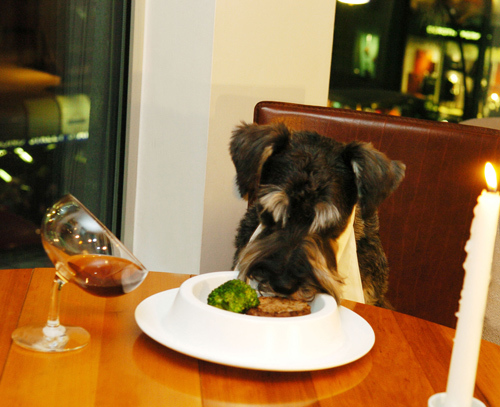 Ted’s Montana Grill is the perfect place to get some great American food with your dog. Be warned though, the burgers and fries you get may have to be shared with your four-legged friend as you might not be able to finish it. All dogs are welcome as long as they are leashed and friendly. Wilmington, DE – Explore the underground railroad and mansions then settle in for a relaxing meal with your furry friend. Catherine Rooney’s is a great pub which welcomes all dogs who are well-mannered and leashed on their outdoor seating area. Brew Ha Ha is the place to go to when you want that perfect espresso before hitting the park with your pup. Dogs are welcome and must be on leash. Seattle, WA – Seattle has a lot of great attractions from museums to shopping to hiking. If you are here with your canine companion, there are also great places to grab a bite. The Barking Dog Alehouse is a great place to have a micro-brew beer and some food. Your dog is welcome to hang out in the outdoor seating area with you but must be friendly to children and other dogs. Luna Park Cafe is the perfect spot to start your day with a hot breakfast and coffee before hiking or heading to the dog park. Grab a seat at the outdoor seating section with your buddy and get energized for the big day ahead. Did we miss some places? Tell us where you go with your canine buddy!